Could you win International Garden Photographer of the Year? Autumn is one of the best seasons to photograph dramatic colours in gardens – but time is running out for snappers to be recognised for their talents. Entries for the International Garden Photographer of the Year competition close on 31 October 2014. Amateurs and professionals are being urged to submit entries without delay, to be in with a chance of winning a first-prize of £5,000. 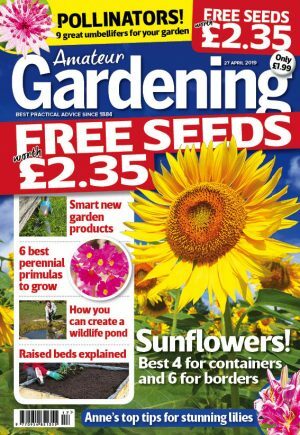 And it doesn’t matter whether Amateur Gardening readers use a compact camera or more complex SLR: entries from all manner of kit are welcome. There are eight categories this year, including beautiful gardens, wildlife in the garden, wildflower scapes and greening the city. Entrants can also request feedback on their images from the judges. Go to www.igpoty.com for details.